Every three years the state of New York allows drivers to get a 10%, mandatory insurance rates reduction if they are the primary operator of a motor vehicle and complete an approved Defensive Driving course. 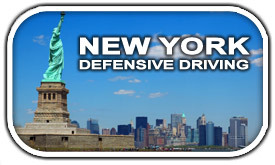 NYTrafficSchool.com's NY Defensive Driving Course was fashioned to teach you safe driving techniques and the skills necessitated to reduce the risks NY drivers face while on the road. New York traffic rules of the road are also taught to help you employ these driving techniques to prevent traffic collisions and traffic tickets in the future. At NYTrafficSchool.com, we are dedicated to proving our students with the most dynamic, education, and cost friendly traffic safety programs in New York. We are here to help NY drivers meet their defensive driving requirements easily. Pay for your NY defensive driving class with one of our easy payment methods: we accept payment online with Visa, MasterCard, Discover, or American Express! When you are done with an I-PIRP course, you get the same full benefits of completing a classroom PIRP course. Drivers can reduce their driver violation point total by a maximum of four points, and they can save ten (10) percent on their auto liability and collision insurance premiums. How Much Do You Charge For Your Class? Get everything you need for your 10% NY insurance rates savings and four (4) point reduction on your NYDMV driving record - and it only costs $24.95, Including your Certificate of Completion and live support! 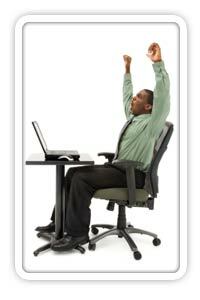 Our Internet Point and Insurance Reduction Program is designed to make your life easy! You can log in and log out as you wish, allowing you to complete the program at your own pace. Just remember that the NY Defensive Driving laws require you to complete your program within a 30 day time frame. We are happy to provide NY customers with friendly and patient customer service reps who are understanding to your needs. We know that completing a defensive driving course may be a foreign experience for you and we want to make it as straightforward as possible. Call us toll-free at 800-691-5014 or send us an email at info@trafficschool.com.